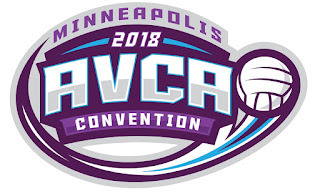 I was fortunate enough to present at this year's AVCA convention but I did more than that during my weekend in Minneapolis. 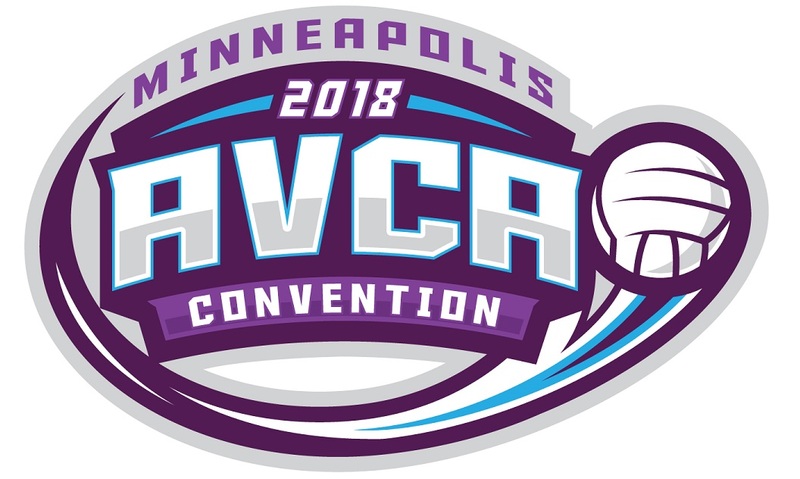 I attended several other presentations, watched three high-level volleyball matches, and had some great one-on-one conversations with colleagues and friends. All in all, it was a time for sharing, learning, and inspiration that deserves a recap. The format of this presentation was different than any other I'd seen. Giuseppe moderated by providing a few different video clips for the other panelists to comment on. The panelists waited outside the auditorium and Giuseppe had them enter one at a time so that each opinion could be independent of the others. The goal was to allow the attendees to learn what these top-level coaches saw when presented with video clips. Much of what they saw was filtered through the lens of their systems, which is to be expected. The challenge of that, which was mentioned, was that the coaches didn't know if what they noticed was what had been trained. I think that recognizing this is important when we evaluate athletes, especially when they do things that we don't understand or care for. We often don't know what reasons they may have for performing as they do so acknowledging that fact can help us ask better questions about what we are observing. I attended the banquet to support Colorado's All-American senior, Naghede Abu. She came to our table to chat both prior to and after the award presentations. I was struck by how she thankfully looked back on her career while also looking forward to her life after collegiate athletics. As an excellent student, there was never a question that she would move on to a career as a professional in her field (accounting) and I felt that she was reflecting on her time appreciatively without regret and looking forward with confidence and anticipation. I am hopeful that our student-athletes, no matter the level, are able to show such grace and equanimity as they reach their own crossroads. I am reminded of the coach's response to the question, "what do you think of your team?" which was "I'll let you know in twenty years." I hope that Naghede and others will reap the rewards of their current work in the future. Gold Medal Squared is well known for their views on how to coach and play volleyball, with many of their tenets being derived from motor learning research. I walked into this presentation expecting Chris to take the position that "the game teaches the game" should be strictly interpreted, meaning that practices should be as random as possible as much as possible. I expected him to paint blocked training in a stereotypical way that would allow for a straw man argument to be used to support the use of random training. Chris proved me to be mostly incorrect in my assumptions. While the video clips he showed of blocked training showed some stereotypical "bad" drill structure, he didn't use them to make a case against all blocked training. 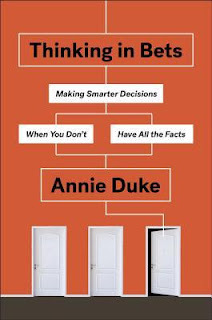 While he did cite research showing that random training is better for retention, he showed that there is a model in which coaches can progress from blocked to random. He made a case for taking advantage of the early benefits of blocked training before gradually transitioning to more random settings to encourage the long-term learning benefits of those settings. I greatly appreciated that Chris thought in non-dualistic ways, showing that there is value in well-crafted learning environments all along the blocked-to-random spectrum. If we think deeply about how to get the most out of our training as well as our athletes, we would do well to consider a variety of settings. Having seen some of Trevor's material in the past, I was anticipating this seminar for some time. Trevor is a masterful presenter and he did not disappoint the large crowd that attended. Trevor skillfully wove science and storytelling to help us see how fear helps and hurts us every day. He gave us ways to recognize fear and learn to work with that fear. I find Trevor's style to be engaging and motivating. I highly recommend checking out his web site to see for yourself. This seminar brought out the nerd in me. Matthews and Goldsmith, through their study of the correlation of passing averages to sideout efficiency and winning, gave me a lot to think about in terms of both evaluating serve receive as well as statistical analysis in general. The pair pointed out that the scale on which we traditionally evaluate serve receive is arbitrary and I, like many others, wonder how we could measure it more objectively. The difficulty comes about because reception is a non-terminal skill except when it isn't. There isn't a clean way to tie it to winning because the goal of the skill isn't to end the rally, only to facilitate that end at a future point. We really want there to be a simple answer but there isn't. So we go searching for connections that can't be as powerful as we want them to be. Given that there isn't a simple answer, then I feel that we must go digging into the more complex. The seminar helped me think about applying concepts of statistical significance to the information that we gather so that we can make decisions knowing what small differences in performance metrics are really telling us. Though the answer may be that those differences don't actually matter, even knowing that is good because it better defines what we don't know. I become a better decision-maker as I strip away my misplaced confidence. As with Trevor Ragan above, I never miss a chance to attend Jen's seminars, round tables, panels, etc. I enjoyed that she asked audience members to interact with each other to share experiences and I certainly gained much from Jen as well as from my conversations with others in attendance.The most important point to me was that all we think and do is a product of the lenses and frames through which we see the world. As a result, everything we say and do is a result of that identity. If I am to be a responsible human being then I should evaluate that identity and how it interplays with the identities of others. Part of that is owning the impact of my words and actions. I think that it is crucial that we avoid making our intentions more important than the impacts they have. The first book that Jen listed on her recommendations is White Fragility by Robin DiAngelo. I just finished listening to the audiobook version and I hear many threads from Jen's presentation. Both Jen and the book are impactful and I look forward to more opportunities to hear Jen speak. Please visit Jen's web site and follow her on social media.